Disclosure: This is a sponsored post partnering with Fandango. I received compensation and a gift card to give away, but all opinions expressed are my own. Are you as excited about the new movie Avengers: Age of Ultron as my family is? If you read my blog very often you know my kids love superheroes and the Avengers are some of their favorites. 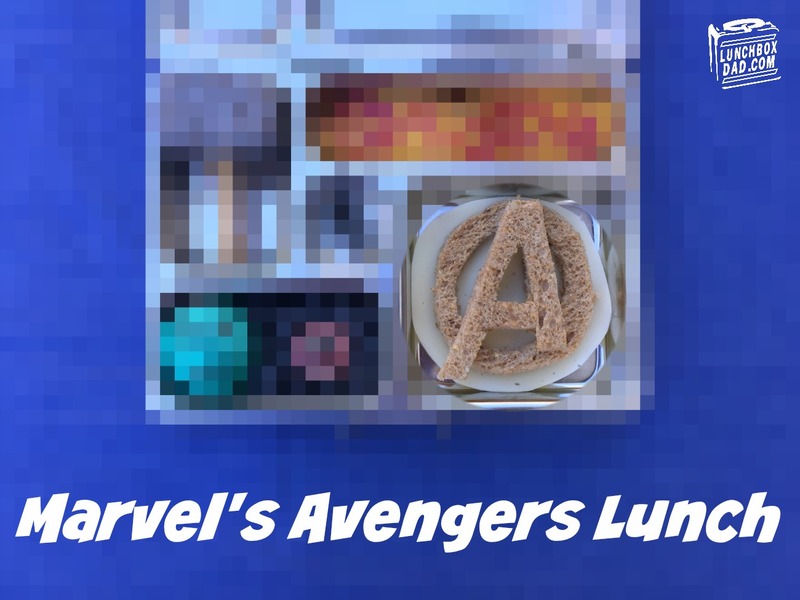 In honor of the new movie coming out I have partnered with Fandango Family to not only bring you some fun Avengers Food ideas, but also to give away $100 gift card to one of you. You can't get much better news than that, right? As you can see I gave you a teaser shot above. You can see the Avengers logo sandwich but I thought long and hard about the rest as well. You have to see the rest because not only are they amazing ideas for a lunch but they are great for birthday parties, playdates, etc. So CLICK HERE to visit Fandango Family and you will see the rest of the lunch and find out the answer to the question in the Rafflecopter widget below to enter the drawing for the $100 Fandango gift card! Also, hop on over to my friend Brent's blog to see his Super Lunch Notes that go along with this lunch. 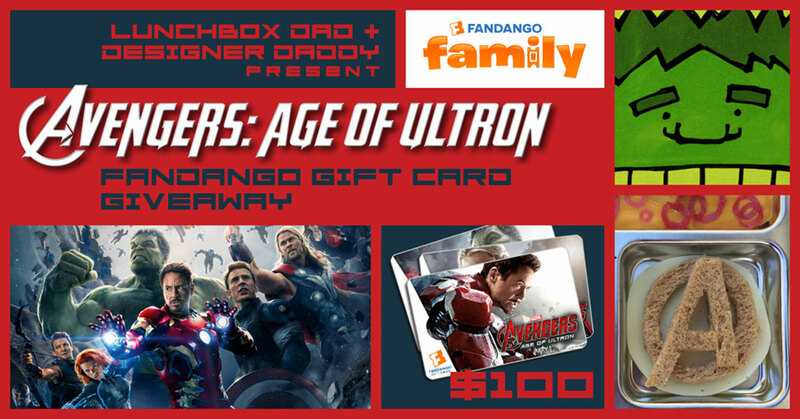 He is holding a $100 Fandango give away as well, so make sure and enter! My favorite is Hulk, made with a boiled egg, blueberry, strawberries, and cream cheese.